Overview Attention to social aspect, attempts to interconnect personal emotions with human rationality can be probably described as the main distinctive features of the contemporary Dutch architecture. Dutch urban planning presents a perfect example of how the quality of public space and privacy can be reconciled therefore interacting with each other. 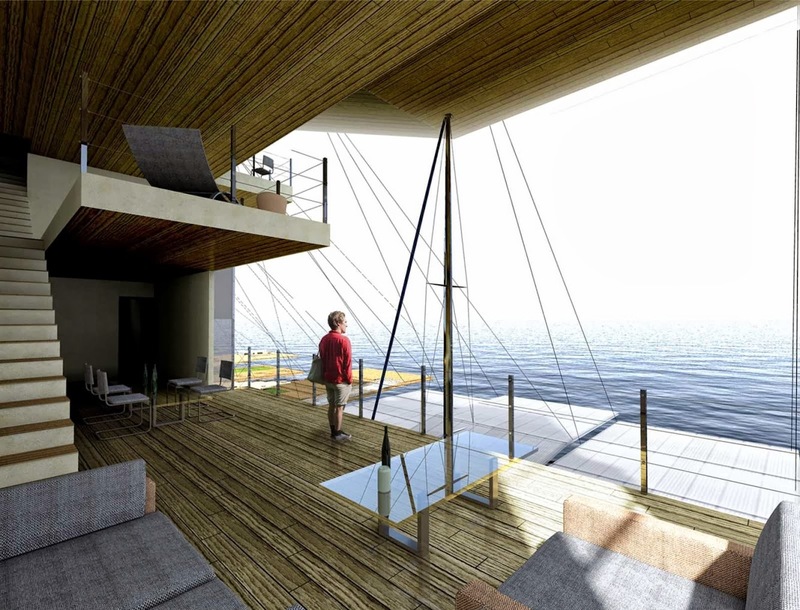 Borneo Sporenburg project is aimed to become a perfect respond to a new concept of life requested by the modern society. Indeed, life seems to be more simple, genuine, informal and jovial; the lifestyle immediately becomes an indicator of living standards. 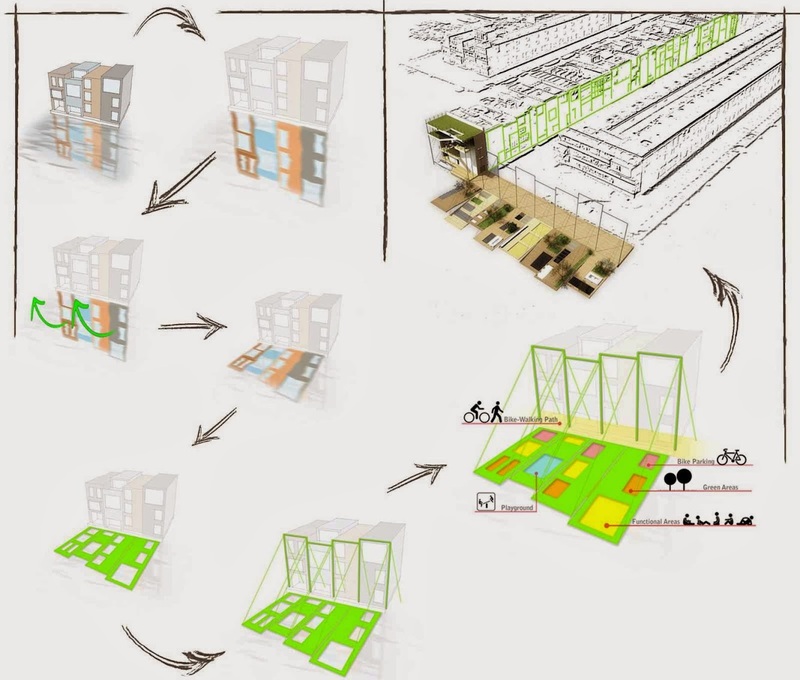 the usage of different building configurations is the main principle of Borneo Sporenburg. Big “screen windows” of the houses, which are located everywhere along the beautiful city canals, amazes passers-by by the reflections on the water, at the same time allowing them “to share” experiences with local inhabitants. One of the first impression when seeing Borneo Sporenburg is how the water takes the different elevations merging them into something uniform. 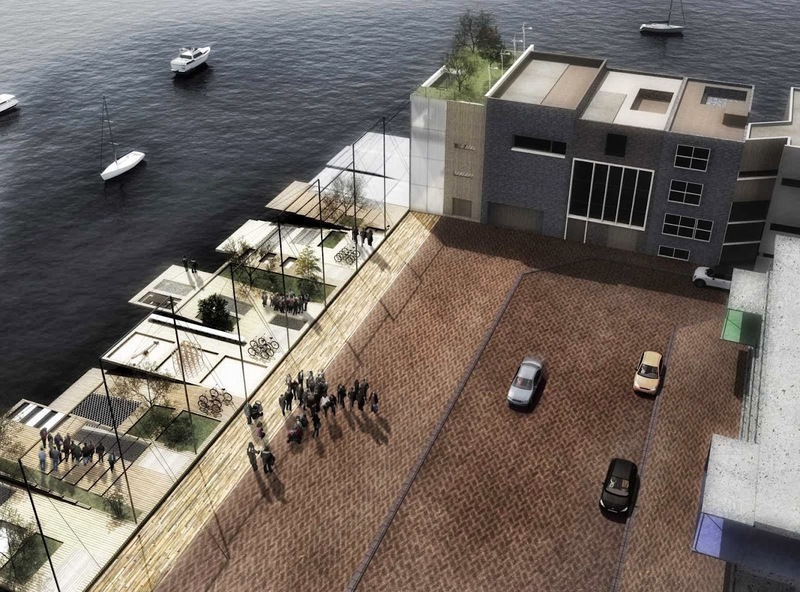 Public Space Concept The main concept of our project is turning the reflection into something real, concrete, tangible! The wood dock, located at the headboard, represents the Glare of the existing buildings. the rhythm created by the Borneo houses facades is maintained thanks to the poles: they represent the profile of the buildings as well as being the dock structure. 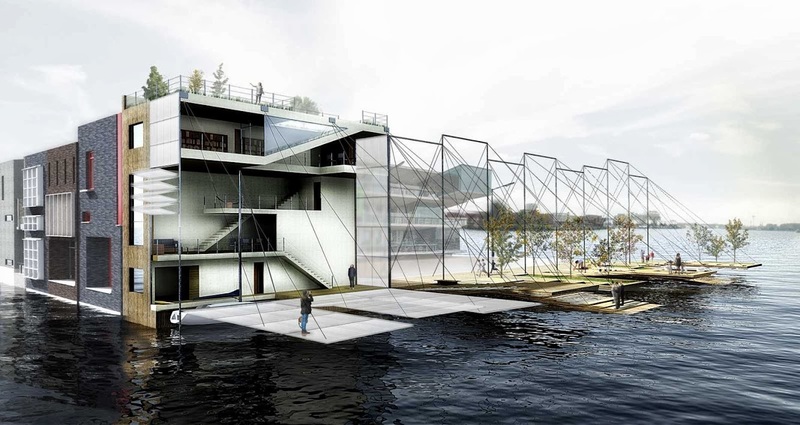 the structural reinforcement cables create a perfect harbor scenario. the lampposts are located below the beams of the high poles in order to light up the dock. 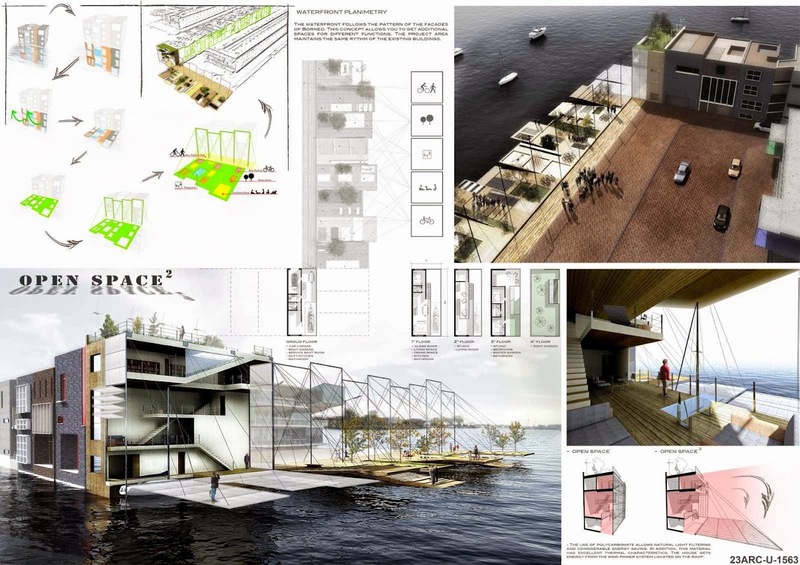 the dock is composed of several different functions: bike-parking, benches, playground, green areas and functional areas.